The 18-year-old Chen struggled with short programs in Pyeongchang but excelled Thursday in Italy. ASSAGO, Italy — The Olympic flop could be the new world figure skating champion. Nathan Chen went some way to atoning for his dreadful Olympic short programs in Pyeongchang by leading after the worlds short program on Thursday. He scored 101.94, a huge improvement on the 82.27 which cost him a medal at the Olympics. The 18-year-old Chen was the best American hope for figure skating gold at the Winter Games last month but he struggled to cope with the pressure and the demands for his time. 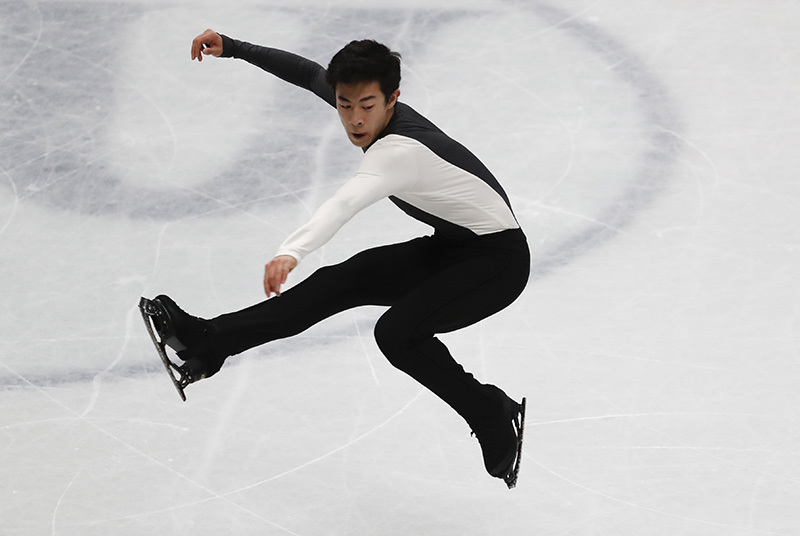 Chen showed his mettle in the free skate, rallying to finish fifth after a historic performance in which he landed an unprecedented six quadruple jumps, plus helped the U.S. to a team bronze. He learnt from his mistakes, and is more focused at the worlds, which do not feature Olympic and world champion Yuzuru Hanyu. Elaborating on the biggest lessons, he said: “Mostly it’s just where to place my head before the competition, what to think about during the program. Make sure that my mind doesn’t wander, just basically focus on everything that I can control. After pulling off six quads for the highest-scoring free skate ever at the Olympics, Chen said he has blueprint for his free skate at the worlds.